We consider our patients to be a part of our dental family, and with this in mind, we strive to meet each individual’s needs. We are your partners in oral health and for each of our new patient visit, we want the experience to be relaxed, pleasurable, convenient, and comfortable. The first visit is an opportunity for us to hear your concerns and to explain your options for dental care. Your experience begins with our reception team who will gather important information including your dental and medical health. If you’re interested, you can complete the “New Patient Information” form before your appointment and bring it with you to the appointment. They will also collect any dental insurance information you would like us to work with. If you have dental insurance, please provide us with the name of your insurance company and all the particulars regarding your plan: group, contract, or ID numbers applicable to your coverage. This will allow us to directly bill your insurance provider, should that be your preference. This confidential information is then forwarded to the dentist team. We recommend starting with a preventative dental treatment checkup. 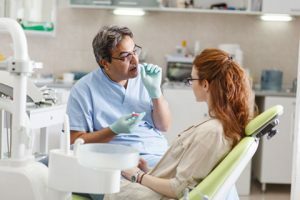 A dentist will access your complete oral health, will review your medical history with you and communicate with other health providers as needed. We are here to listen to your concerns and provide you with a treatment plan to meet your needs. A whole-body approach to each dental exam is always recommended allowing us to assess your entire mouth. The dentist will recommend x-rays specified to your needs if required. This allows us to catch and treat problems early on. We offer digital x-rays imaging, which will provide us with an instant picture of your mouth. Not only do these images serve as important diagnostic tools, but they are also much safer than traditional x-ray technology. The next step following your dental exam is to provide you with a treatment plan specific to your needs. 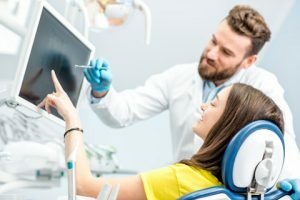 Whether you need a dental restoration, oral hygiene instruction or a dental cleaning, our team will make every effort to make your visit pleasant, comfortable and as easy as possible. Once the dentist addresses your chief concerns, we will schedule treatment accordingly. The extent of your dental hygiene appointment is again specific to your needs. 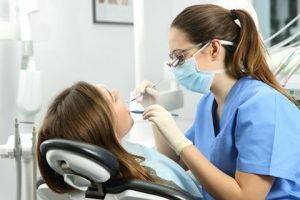 A dental hygienist will remove any plaque or tartar build-up by scaling your teeth. The polish procedure smooths the surface of the teeth, removes stains and prepares the teeth for the application of fluoride. A smile; It takes but a moment, but the memory lasts forever. By smiling, you can make your family happy, and friendships durable. Your smile calms, encourages and comforts. It cannot be bought, begged, borrowed or stolen. Until it is given away, your smile has no value, but once given away, it becomes invaluable. At Regent Dental we would like to give you something to smile about. We aim for your visit to be convenient and comfortable. We are excited to welcome you to our dental family and will strive to assist you in every way. Schedule your first dental visit today by calling 204-817-8916. Alternatively, visit our contact us page for more information about our location and hours of operation.